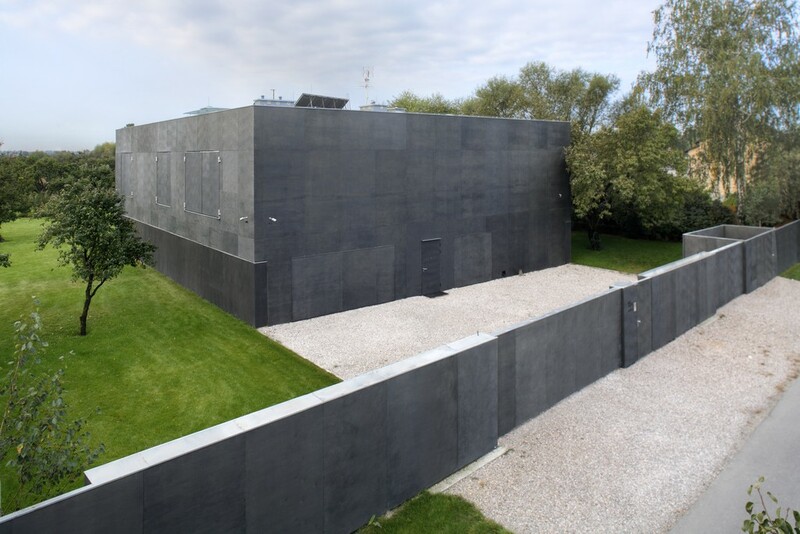 Architecture firm KWK Promes left no security issue untouched when they designed and constructed the 6,100 sq. ft. fortress. In order to penetrate the Safe House you would need to match all the required security entrance codes. Upon entrance, one would wait in the ‘safety zone’, an area bordered with concrete walls, before being let inside the house. 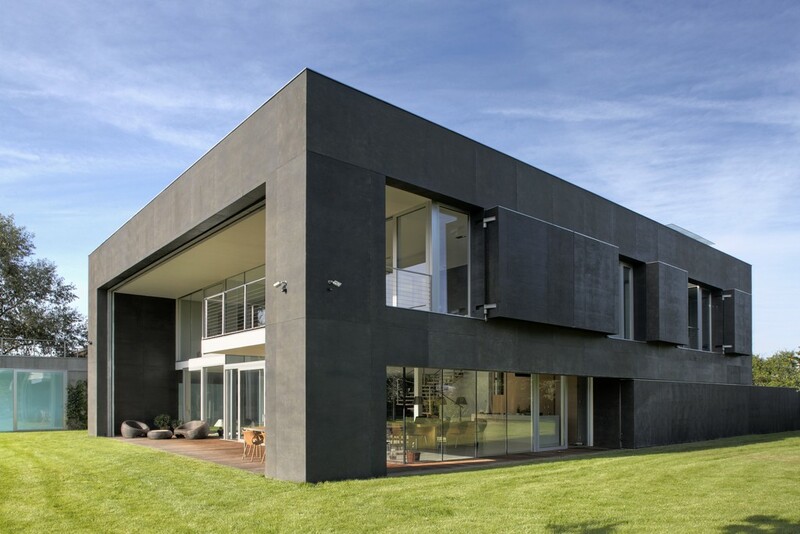 When the home is in its closed state, it is reminiscent of a large concrete Rubik’s Cube. When in its open state, a draw bridge lowers, connecting the home to the indoor swimming pool, movable walls open, mobile shutters come up, and a rolling aluminum gate raises opening the home to an expanse of garden views. The entire home transforms with built in electronic engines, which means the house opens and closes with the touch of a button! I know I said it needs more guns, but it seems pretty much impenetrable to zombies as is (in its closed state). In hindsight I think i’d be more worried about supermodels spilling red wine on my $234,563,500 albino T-rex leather couch. I love the house, I want one. I wonder how big a pile of old tires it would take to make a fire large enough to smoke them out? There’s a reason forts fell out of fashion. If you just sit inside the walls, the siege has all the time and resources to reduce your defenses. Yeah, that’s right. Someone with an old civil war era black powder cannon and cannon balls could probably blast through. I’d be willing to bet that there’s alot of un-armor-adding filler between those massive shutters. And as someone who looks at diagrams and designs of fortresses because it’s FUN, this appalls me. Mostly because it’s vertical armor, and not near thick enough to stop larger things. The instant someone gets mad and brings anything that’s bigger than a fifty cal (20mm and up) you’ll see rounds sailing right on through. And explosives? Fuggetaboutit. The only thing explosive that home will stop is shrapnel FROM the explosive. The instant someone gets mad and brings anything that’s bigger than a fifty cal (20mm and up) you’ll see rounds sailing right on through. And explosives? Fuggetaboutit. Okay, so maybe it won’t repel an invading military force, but I’ll bet it will stand up to a mob of citizens armed with the weapons available to them. And as Punish3r was saying, I’m sure it’s many, many times more secure than anything any of us live in. This thing is really a neat looking house when it’s opened up! What happens when the power goes out or a motor burns up and you can’t open up the house?? ?